When your ship has a ‘magic carpet’, lush rooftop gardens, two-storey villas and a chill-out space with an ambience that shifts through the day from chillful to playful to sinful, you know you’re in for a truly unforgettable cruise. Newly launched in 2018, Celebrity Cruises’ billion-dollar Celebrity Edge may well be the most sophisticated way to see the world. 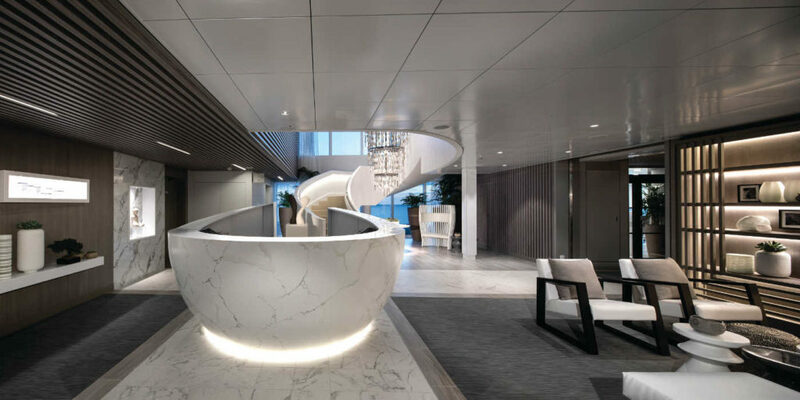 World-renowned interior designer Kelly Hoppen and architect Tom Wright crafted the ship’s facilities, which accommodate nearly 3,000 guests in ground-breaking style. In the Infinite Veranda Staterooms, at the touch of a button your entire living area can be transformed into a verandah. There are also split-level Edge Villas, which come with private plunge pools, and Penthouse Suites with al fresco soaking tubs. If you can tear yourself away, diversions range from world-class dining at 29 restaurants and bars to moments of bliss in the 2,000-square-metre spa – there are more than 124 treatments to choose from. And then there’s ‘The Theatre’, an adults-only solarium, gorgeous Rooftop Garden and pool deck featuring martini-shaped whirlpools. 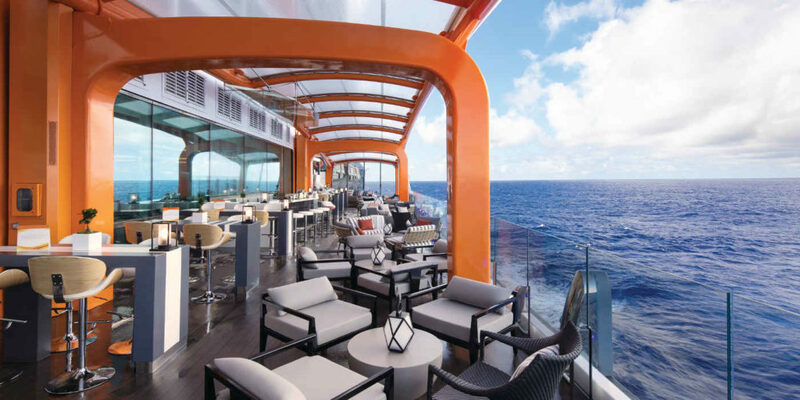 Extending Celebrity Edge’s offerings – literally – is the Magic Carpet, an open-air, multi-deck venue cantilevered off the side of the ship: on deck 16, it becomes a specialty restaurant; on deck 14, it’s an open-air expansion of the main pool. In 2019, Celebrity Edge will join her four sisters – Celebrity Infinity, Celebrity Constellation, Celebrity Reflection and Celebrity Silhouette – in the Mediterranean, offering a range of seven- to 11-night sailings stopping in classic European ports such as Barcelona and Rome, as well as new ports including the Nafplio in Greece and Santa Margherita in Italy. Celebrity’s first Edge Class ship will be joined by Celebrity Apex in 2020, plus two additional ships in 2021 and 2022. This article originally appeared in volume 32 of Signature Luxury Travel & Style magazine. To subscribe to the latest issue, click here.